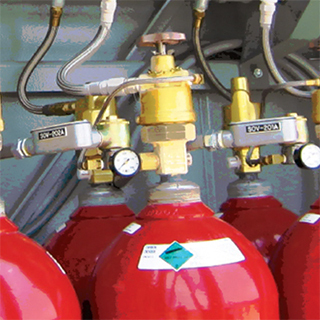 ABC Fire Inc. has installed and serviced many high and low pressure CO2 systems over the years. Our technicians are state and manufacture certified to install, test, and service these engineered systems. This application is unique in the fact that it is a clean agent that does not leave a residue on equipment and is electrically non-conductive. CO2 is a low cost clean agent that within seconds penetrates the entire hazard and smothers the combustion in non-enclosed hazards. These systems are used for dip quench tanks and other industrial manufacturing applications along with local applications for flammable liquid storage. Sign up for CO2 Fire Suppression Service Today!